It has been more than a year since President Obama draped the Medal of Honor, the nation’s highest valor award, around the neck of Dakota Meyer. Today, the Marine’s own account of the Sept. 8, 2009, ambush in Ganjgal, Afghanistan, that led to the award hits shelves in bookstores. “Into the Fire,” written with the help of author Bing West, recounts the botched mission in which he and several other U.S. service members risked life and limb in an attempt to recover the bodies of four fellow members of an embedded training team that had gone missing in a maelstrom of enemy fire. Last month, Meyer provided me an advance copy of his book, then sat down to discuss it. In this resulting Marine Corps Times cover story, he discussed a variety of revelations in the work, including his failed suicide attempt, his anger over what happened that day and what it’s like to be one of the only living Americans to wear the Medal of Honor for actions completed since 9/11. Meyer has been active on his Twitter account today, adding updates about some of the media engagements he has planned to promote the book. He’ll appear on “The O’Reilly Factor” on FOX News tonight, for example. Undoubtedly, there will be other media appearances in coming weeks. He’ll face questions on everything from what happened to why the former Army captain alongside him that day, Will Swenson, still hasn’t received the Medal of Honor despite being put up for the award. At last check, Swenson’s award nomination reportedly had been moved to Defense Secretary Leon Panetta. lol who didnt see this coming, get dat money! I just read your book. I read it straight for over 5 hours and finished it in one day. I could not put the book down. You are a RED BLOODED TRUE AMERICAN with the strongest will and bravery. My grandfather was in Merrill’s Marauders in WW2. They were all volunteers and were told that their mission was certain death. 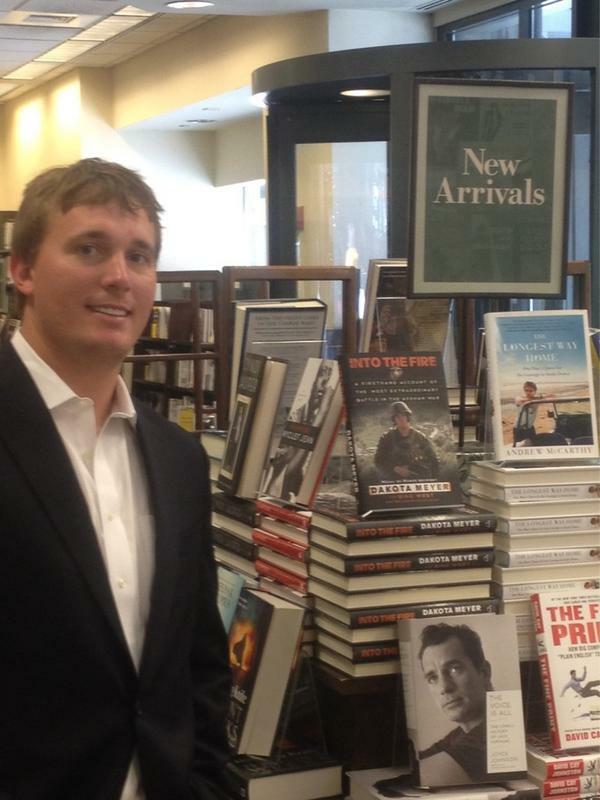 He survived and lived to be an old man as you will Dakota Meyer. You are a true hero.